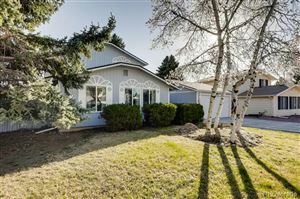 Welcome to the Niwot Colorado homes and real estate portal: one stop for finding single family, multi family, condos, townhomes, lots, land, residential income, and acreage real estate for sale in Niwot Colorado. You can find homes for sale by sale types like new construction, foreclosures, and short sales or you can search for homes for sale by geographic characteristics like subdivision, school, and maps. The properties for sale in Niwot change daily. 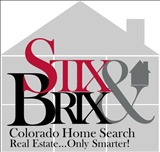 Check back often for all the latest information on homes for sale in Niwot. Beautifully nestled along the foothills of the Rocky Mountains, this is an enchanting and vintage community combining a rich historical past and a contemporary distinction as a vibrant arts community. Visit Second Avenue in Old Town Niwot - a designated Historic District. Stroll along the avenue past charming Victorian buildings and landscaping and discover the many treasures Niwot has to offer - including gourmet restaurants and art galleries, iconic public art murals and tree carvings, Whistle Stop Park where a new Children's Park is being added soon. Visit Cottonwood Square for even more retail stores, restaurants and service providers to meet all your needs with friendly and professional service. You'll find plenty of free and convenient parking. Read more about the real estate market in Niwot.